A pause for a pose at the Denton County square. I spent 3 hours pedaling into a strong headwind today (point-to-point route) and can honestly say I enjoyed the ride. I also eagerly anticipate bedtime. That wind was bad today. I took my son for a short ride. We had all kinds of debris blowing into our eyes.I like the town square. 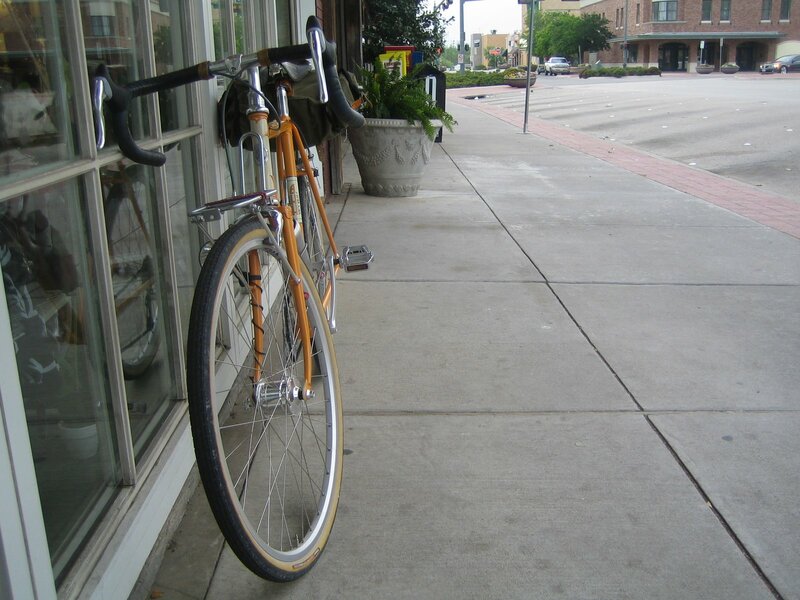 I worked in Denton for a while but I never had the chance to ride there.